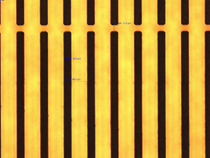 Creatv fabricates high-precision gold masks for x-ray and gamma-ray imaging, as well as for x-ray lithography. 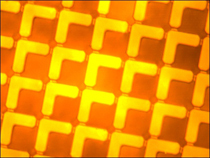 Such applications require high-attenuation coefficient materials; Creatv has developed proprietary methods to make gold masks of any desired thickness. 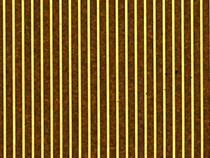 Gold mask with 25 µm wide and 2000 µm long slits, with 78 µm periodicity in 150-160 µm thick gold. 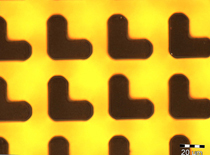 The overall mask size is 4.8 x 4.8 cm2. 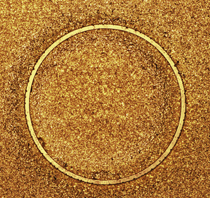 Gold mask with 29 µm wide and 3000 µm long slits, with 98 µm periodicity in 200 µm thick gold. The overall mask size is 6.0 x 6.0 cm2.